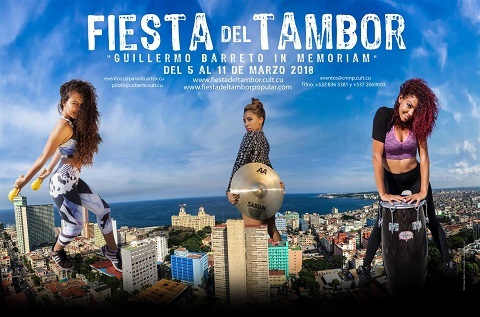 The XVII edition of the Havana Rhythm and Dance Festival "Guillermo Barreto in Memoriam", will be held in Havana from March 6 to 11, 2018 and will have as main venues Teatro Mella, Sala Avenida, El Salón Rosado de La Tropical, Casa de la Música EGREM, the gardens of Teatro Mella, the Casa de la Cultura de Plaza, and Hotel Palco, among others. In this event includes the participation of Cuba's main orchestras of popular dance music, foreign guests, several of Cuba's most outstanding dance companies, jazz groups, and folkloric groups. Masters classes in percussion and dance will be held as well as classes customized to groups or individuals. The festival will also include visits to cultural sites, among many other activities. As part of the event's program, three competitions will be held with Cuban and foreign participation open to all ages: one in percussion, another in Casino dancing, and another for Rumba dancers. The agency Paradiso is the official contact for the event. 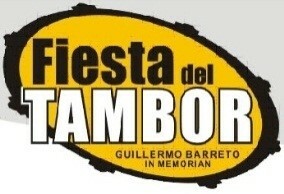 The instruments that are evaluated in the percussion competition are: timbales, bongoes, drumkit, congas, and batá drums. Each contestant will be able to compete in 2 instruments. There are no professional or academic requirements to participate. The jury is represented by outstanding percussionists who will deliver as many prizes as they deem appropriate and their decision will be final. The Organizing Committee will provide at the venue for this purpose all the necessary instruments for the development of the same. Playing with personal instruments will only be allowed in case it does not affect the pace of the event, and the jury will have the last word. The genres that can be evaluated are: Contradanza, Danzón, Cha cha chá, Charanga, Mambo, Son, Guaracha, Salsa, Songo, Pilón, Dengue, Afro, Changüí, Conga Santiaguera, Conga and Comparsa Habanera, Mozambique, Rumba, 6x8 , Timba, Congo (Palo, Makuta and Yuka), Santería Arará, (Afrekete or Frekete, Gervioso, Masse, Tiñosa), and Yoruba (batá, guiro, Iyessá and Bembé), Abbakuá (Matanzas and Havana). Note: The Jury can request any of these popular or Afro-Cuban rhythms. In the case of general or partial ignorance of genres, this will not be an impediment to participate, and the Jury will make its decision aaccording to the judgement of ts members. The Jury will determine the duration of the performances depending on the quality and creativity that is shown at the time. The expenses related to lodging, transportation and costs of the contestants will be paid on their own account or by prior agreement with the relevant institutions, such as CNEART, ICM, MINCULT, Centros Provinciales de la Música, etc. The "Final Presentation" will be held at the Teatro Mella on Saturday, March 10 at 3:00 p.m., and the final prize will be awarded at the theater on Sunday, March 12 at 4:00 p.m.
All instruments will require a minimum of 2 genres to be interpreted individually with a recording provided by the Organizing Committee, or with a group of students of music or professional schools. There will be 1 or 2 improvisations in different styles, except for the Batá Drums in which the 3 drums will be played simultaneously, understanding that these can be sung or not, and the jury will determine the "toques" or which Saint of the Yoruba Religion will be interpreted on these instruments. Each contestant will be evaluated on their knowledge of the genres or styles, sound, creativity, and if it be the case, virtuosity. The first place winners of previous editions of the Festival will not be able to appear on the same instrument in the following editions. The winners will receive musical instrument prizes from national and international brands such as: SABIAN, GON BOPS, KoSA, PEARL, PROMARK, SONOC, EVANS, Ae, etc., as well as the Grupo Empresarial Palco, Agencia Paradiso, Organizing Committee of Festival, and the sponsors of the event will contibute important recognitions such as: stay in their facilities, prizes of various articles, diplomas, etc. The Casino Competition will be performed to genuinely Cuban music. There is no age limit in either the Casino or the Rumba competitions. Improvisation within the Casino style will be allowed. The Cuban contestants will be chosen in the pre-contest to be held on February 20 and 21, at the Salón Rosado de la Tropical starting at 2pm. The Jury will be composed of outstanding professors and professionals. The Jury's decision is final. Run time of the couples in the Casino and Rumba Competition will be at the discretion of the specialists or Jury. In the Rumba Competition contestants may present individually in the Columbia Style, or in pairs in Yambú or Guaguancó, and a male representative and a woman in Columbia, and a couple in the other genres will be awarded. The final competition will be held on Friday 9 March at Teatro Mella at 3pm, and the winning couples will be determined on March 11 at the same venue at 4pm. The winning couple of the Casino Competition, the winning couple in the Rumba Competition, and the men and women who are winners in the Columbia Competition will be awarded by the festival with a weekend stay in a 4- 5 star hotel in Varadero with all the expenses paid, and two nights with all the expenses paid in the Hotel Palco, sponsored by the Grupo Empresarial Palco, and that previous coordination can include the payment of the airline ticket by Cubana de Aviación, in the case that the airline flies to the destination of the possible foreign winner. The 2nd and 3rd place winners will receive prizes from Grupo Empresarial Palco with invitations to restaurants and company facilities, among other prizes from multiple sponsors, and an accreditation diploma.